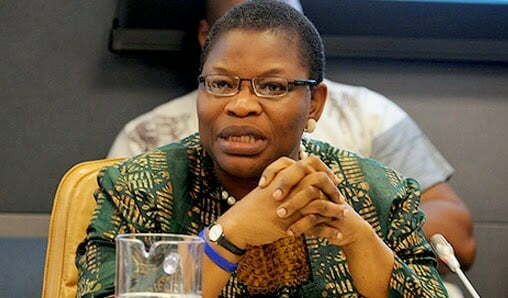 Prof. Jonah Onuoha of the Department of Political Science, University of Nigeria Nsukka, UNN, has described the withdrawal of Dr Oby Ezekwesili from the presidential race at the eleventh hour as embarrassing and suspicious. â€œThe presidential candidate of ACPN withdrawal from presidential race on Thursday to me is embarrassing and suspicious. â€œHer withdrawal at dying minute is a big blow and serious setback to party faithful that have been campaigning for her for Feb. 16 presidential election,â€ he said. â€œIf the presidential candidate has no hidden agenda why didnâ€™t she inform the party leadership of her plan to step down from the presidential race? â€œI know she did not wake one morning to take the decision of her withdrawal, she has been thinking about it at least for the past one month,â€ he said. The professor of political science said Ezekwesiliâ€™s excuse that she withdrew from the presidential race to enable her to join a coalition that would stop either All Progressives Congress or Peoples Democratic Party from winning the Feb. 16 presidential poll was untrue. â€œIf she has known she has a coalition to join, why did she pick the ticket of ACPN, thereby stopping other party members with genuine ambition from being presidential candidate of the party. â€œWhat will she tell all support groups and individuals who have made financial contributions to her presidential bid, is she going to refund them having disappointed them,â€ he asked. Onuoha said what Ezekwesili did have demoralised the high hopes some women have in the fact that by Godâ€™s grace a woman would for the first time emerge as the president of this country. â€œThis is a serious disappointment to Nigerian women and as such Ezekwesili should tender unreserved apology to women in the country,â€ he said.